Kumudini Welfare Trust was founded by R P Shaha in June 1947. He was born poor, became very wealthy through his business ventures only to give away all his wealth voluntarily. 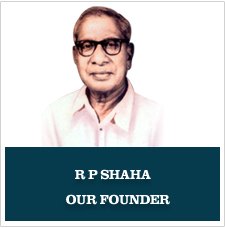 Between 1938 and 1944 R P Shaha had set up a free dispensary, a 750-bed free hospital named Kumudini Hospital. He established Bharateswari Homes, Kumudini Girls’ College and Debendra College. In 1944 he donated an amount of Rs. 2,50,000/- to the British Red Cross. R P Shaha and his only son were abducted by the Pakistan Army and their collaborators in 1971. They never returned. Along with the hospital, the Trust now runs a Women’s Medical College, a Nursing School and a Nursing College. Funds required for running the welfare activities are obtained from the income generating units of the Trust like jute press and warehouse, garments industry, pharmaceuticals, river transportation, handicrafts etc.